Your car is about to become your concierge. A personal robot. And so much more. You probably don’t have a lot of time to think about all the things that are going on with the rush to self-driving cars and electric vehicles. I do – that’s my job as a futurist. The things is, you don’t know what you don’t know, until you know it. So I’m going to let you know! We are currently seeing a massive acceleration of change hitting the auto industry. I’m doing lots of keynotes around the theme — read Accelerating the Auto Industry in the Era of Self-Driving Vehicles. the simplicity of design means more companies enter the car and truck industry. Carbon and gas is tough; electric and tech is much easier. Electric involves a motor, some wheels, and some stuff to connect the two, with a few computers thrown in. That’s a bit of a stretch, but talk to anyone in the industry, and its ‘way easier’. Simply put, the next generation of vehicles is easier to design, engineer and build, with the result that we will see more organizations entering the space. the shift in legal liability is huge. As in, what happens in a crash between an autonomous car and a human driven vehicle? Who do police take a statement from? Do we impound the data record? If so, from the cloud? Lots of fun is going to unfold in this area! partnership is everywhere. The industry is blurring at a furious pace. 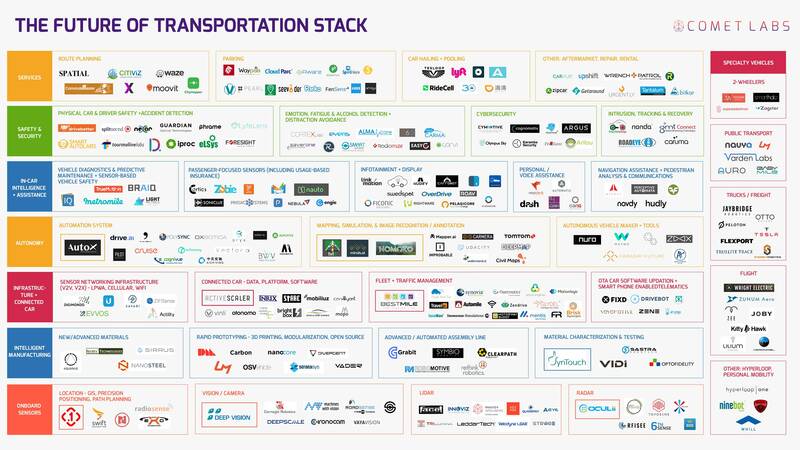 Coming together are companies in the battery and alternative energy space; telematics and GPS and intelligent highway technology; cybersecurity companies and dozens more. Simply take a look at a few infographics on the number of companies getting involved. the future will be full of surprises. For example, who would have predicted Nvidia, long known for making the graphics cards that were at the heart of the gaming industry, is now at the forefront of the self-driving car industry — because of the ability of their technology to process the vast volumes of data that are involved. There are lots more NVidia’s out there, repositioning themselves for this fast-future. there might be an increase in automated muggings. A self-driving car will be programmed to stop when it senses a human in front of it. Hence, I could merely walk into a road, stand there, and the car will stop. It will then take me a moment to do something evil to relieve the occupants of their valuable. Who will program and mitigate against this scenario? there will be data wars. Self-driving cars generate lots of data, and many questions are as yet unanswered. As in, who owns the data, and what can they do with it? People buying, sharing or leasing cars will be presented with massive “I agree to all terms and conditions” word dumps like they get with their iPhones and software, and they will click away their right to any of that data. Expect massive new intellectual property issues to emerge, and lawyers who will make a lot of money going forward as these data issues get sorted out. the data will be worth a lot of money. Google built a business on search. 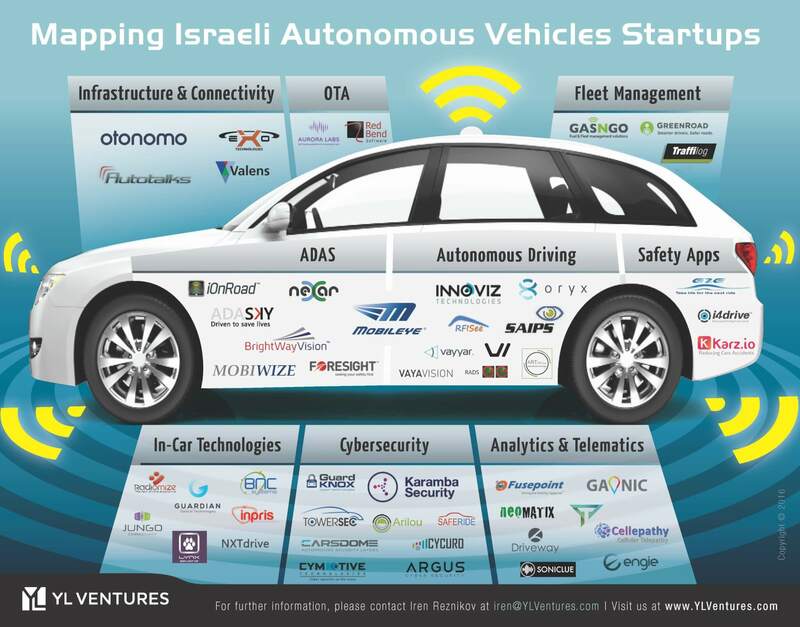 Car data companies will build a business based on location and navigation. you car will become a credit card. At the same time that companies equip cars with cell capability to turn the vehicle into a Wi-Fi hotspot, they’ll also put a SIM card and technology in place that will let the car do an automatic credit card transaction. Apple put Apple Pay into a mobile device, and as the car becomes a phone, it will become an Apple Pay device too! You’ll pay at the drive-through simply by putting your thumbprint on the dash. driver education will change. It will move from “how do I drive a car” to “how do I use a car?” Why? Consider a University of Iowa study : 65% of drivers didn’t know how to use adaptive cruise control, and many didn’t event know what it was! Expect befuddlement and bewilderment as cars become computers on wheels. watch the drones to understand the future of electric cars. One major form of car innovation today is occurring with battery technology, which is at the heart of electric vehicle technology. Those in the drone space are working hard to figure out how to extend the range of flying drones, and are doing lots of research with new battery technologies that offer extended range through lower weight. This will bleed into the electric vehicle market, and will lead to rapid advances in electric car range and a decrease in cost. your car will be personalized based on biometrics and technology. – Your car will know who you are when you get in, when you approach it, or when you phone it, and will adjust its settings based on that knowledge. Your car will have a trusted relationship with your mobile device, your fingerprint and your eyeball. You will start it simply by having it examine your retina, rather than pressing a button. the purpose of a car will fragment. Cars today are designed to get you from point-A to point-B. In the future, specific cars will be designed for a specific purpose, with the result that the very concept of a car is going to fragment. There will be cars for long distance vs those built for a short commute; those built for peloton travel (i.e. interlinking with other cars in a pack) vs. those which are engineered to excel at navigation for narrow city streets. There will be cars which will be decked out as a home office for a self-driving commute, and others which will be tricked up to be rolling bedrooms on wheels for tourists. We’ll see lots of new types of cars, with different cost implications the result! self-driving cars might obliterate pizza delivery jobs and other activities. Your car will simply go out and get pizza when you tell it too. In this way, your car will evolve to become a personal-concierge-robot, undertaking various activities at your command. 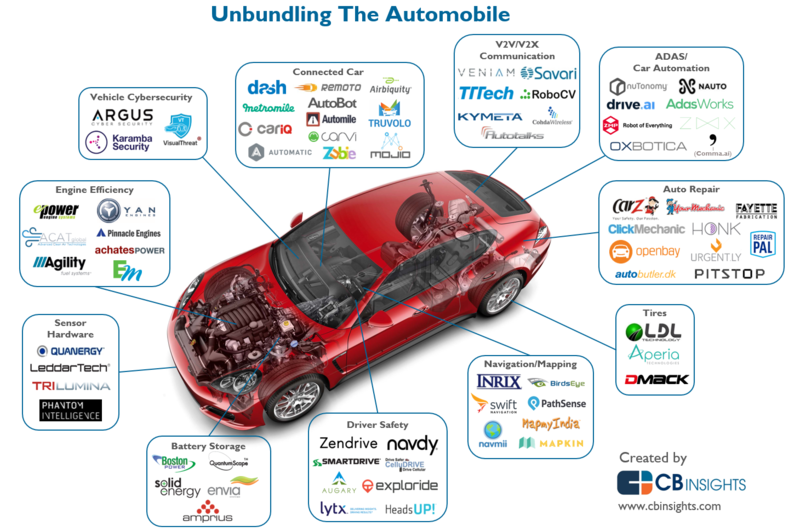 Car-as-a-service concepts will unfold. big bets are being made, big bets will be lost; Business books will be written in the future as to who won, who lost, and which big bets they made along the way It’s an epic battle between car companies and tech companies, and we are in the midst of a 100 year revolution. One estimate suggests that there are currently 50 major competitors in the space today; that might be reduced to 5 or 6 within a decade. video gaming will come to cars. With that in mind, we’ll see video game consoles and controllers built into cars. After all, while its busy taking you to work, you’ll have some time to kick back and destroy a few daemons! we’ll see ‘network of cars‘, and network-subscriptions will be available. You’ll be able to link to your friends and go off on a self-driving voyage somewhere, because your car will link to other cars and you’ll be able to share an automated voyage together. You might find a network of folks in your neighbourhood who self-drive to work together, and you’ll sign up to their morning commute, sharing a peloton experience on the HOV lanes in order to reduce your cost. car mechanics become computer techies. Geek-squads for cars will be the new normal. We’ll reboot our cars more often than we will change the oil. trailers will take on more importance. It will be a growth market — since you’ll have so much more to do with your car, you’ll have to take a lot more stuff with you! a steering wheel of today is already is a thing from the olden days. One day, a kid will be born who will be the first to never use a steering wheel, and will never know how to ‘drive’ in the context of driving today. The concept of telling a car what to do will simply seem silly. Maybe that kid is already alive. They’ll only ever know a world in which a car drives itself. gesture control and eyeball scanning might be the future of navigation. Didn’t think to tell your where you were going, or are simply going through a new, unknown neighbourhood? You’ll simply point or look and your car will figure out where you want to go. Video game developers that excelled at writing human-machine interface code for the gaming industry will find hot new carers in the automotive sector. design is shifting from the exterior to the interior. More money will be made on the function, apps, and purpose of things you can do inside the car than outside. legacy companies will try to fight the future, thinking it is a marketing war, not an innovation war. They’ll realize it won’t work. Consider Lexus, for example, which doesn’t want to talk about ‘self-driving cars‘ – they want people to talk about “automated safety technology.” Sure. It won’t work. there’s a massive rush for skills : Delphi is hiring 5,000 software engineers and wants to double it in the years to come. Most car companies don’t have the skills they need, and the war for talent will go super-nova. some car company executives are saying some pretty dumb things right now. Just like CEO’s in the past: Bill Gates at Microsoft (‘640k should be enough for everyone‘); Ken Olsen at DEC (‘no one will ever need a computer in their home‘); IBM’s Thomas Watson (‘computers in the future may weigh no more than 5 tons‘). Smugness and complacency is not a business strategy. the stories for the business books of the future surround you right now. Years from today, we’ll have a flood of innovation books and detailed case studies which will compare Deliberate-Detroit vs. Speedy-Silicon Valley. The story is still being written. Right now, there are a few Research-in-Motions about, convinced that heir business model has longevity. Maybe not, and I know who my money is with! people will get ticked with highway lanes dedicated to self-driving cars. There are always those who hate the future and progress. But lanes dedicated to self-driving cars will make sense, because they will be able to support big volumes of smart cars, reducing overall traffic growth. San Jose in California is already considering doing this. it’s all about the airwaves. If self-driving cars are throwing off 7GB of data per hour, the data has to float through the ether. There will be a huge rush to support new data transmission channels – and smart governments will realize there will be money to be made by auctioning off new spectrum. Siri, Alexa and other botnet technology will be everywhere. That’s a simple conclusion, but it will be kind of interesting to be driving next to someone who is engaged in a long conversation with their car. the evolution of self-driving cars is really a story about Moore’s law. Processing power will collapse on a regular basis, and capabilities will exponentiate. Study the past of the computer industry to understand the future of the auto industry. it’s really a big data story with big implications : Tesla already has compiled millions of miles of data about the folks driving its car. The future might be less about the vehicle and more about the data they generate. the economic development implications are huge. Industry will relocated to regions that have smart highway infrastructure, excellent re-charging services, and progressive policies when it comes to supporting this revolution. Does your Mayor get it? self-driving cars don’t involve just cars. It involves trucks, and tractors, and ships, and planes, farm combines and boats. It’s not just an era of self-driving cars — it’s an era of autonomous, self-operating things. a bunch of other innovations are happening all at once. In fact, there are a whole bunch of parallel innovations occurring with self-driving vehicles, involving such things as advanced energy storage technologies and methodologies, energy microgrids, robotics and AI, deep data and analytics, smart highway technologies, advanced materials, and so much more. And just as with the space program, all of these developments are leading to other new opportunities, industries and new billion dollar industries. outsourced driving will be a thing. Your car might have the smarts to drive for you. Or, if it is a complex route and it doesn’t have the smarts, you’ll simply be able to outsource the driving to someone on the other side of the world. “Leave the driving to us” will take on new meaning. your car will know when its going to break down, and will tell you. It will also tell the auto company or local computer geek. Maintenance models will turned upside down through prognostic diagnostics. there’s a massive skill set shift underway. As in, this ain’t your fathers carburetor! The new skill sets in automotive will involve electronics, programming, electrical circuit mastery, advanced route optimization insight, and so much more! modularity will be a thing. In fact, the very concept of ‘fixing a car’ might go by the wayside. We’ll see more modular technology — parts that you simply drop in to replace another one that has gone bad. no one is talking about open source vs. closed source cars. Linux vs. Microsoft anyone? As cars become computers, some people believe that they should be built on an open source foundation, because this will be the best way to provide for reliability and safety. 20 years ago, the running joke was that if Microsoft built the operating system for the car of the future, the car would shut down in the middle of the highway randomly, and the dashboard would simply say, “General Car Fault.” Open source concepts will quickly come to the car industry, and could be pretty disruptive. Watch the video below – I was talking about this in 2004! faster obsolescence will be a reality. Cars will take on the innovation curve of the smartphone: you’ll replace them every 24 months or less. In the same way, your car will become a fashion statement: disposable, instant, with the result that cars will a new form of fashion. With that, resale values will collapse — who wants to be seen driving around with an old outdated car, using an outdated iPhone 4? we’ll see a lot of stranded assets throughout the auto sector. For example, what happens to all those lube/tire replacement/auto repair facilities? Smart entrepreneurs will figure out smart things to do with all that infrastructure. it’s all about the penguins. Simply put. Read the post. Amazon might own a big chunk of the future of highways. Not the physical part, but the data part. Right now, they have a few significant patents, including one which involves the allocation of highway lanes. Expect HOV-as-a-service business models! the really smart people in the industry are carefully reading an older book. It’s called Traffic, and it’s all about the science of traffic jams. Figure out how to program your way through the inefficiency of traffic jams, and you’ve got a product or service that people are willing to buy! spatial data bubbles are a thing, and you’ll learn about them. You’ll be immersed in a lot of spatial data bubbles and if you understand that, you’ll understand the future. You don’t know what they are? Learn about them! get ready for zombie cars. I bet you haven’t even thought of that one! robotic highway cones will be a thing. I’ve been talking about them since 1995, and no one has built them yet. I still believe it will happen, just like perfect microwave popcorn did. Watch both videos. What are the trends I’m watching as we head into 2017? In 2017, low-tech innovation will gain increasing attention as the marvel of ‘smart things’ begins to wear off, and people realize that many smart things are really ‘dumb things. Far too many; indeed, the list is almost too long to consider. I’ve got keynotes, leadership or Board meetings in almost every sector in the coming months: transportation, construction, healthcare, retail, automotive, advanced materials and manufacturing, agriculture, insurance … the list goes on and on. And that’s just with the confirmed bookings for the early part of the year! This means that at any one time, I’ve got big stacks of research material on my desk as I delve into key trends and issues impacting my clients. I’m often engaged by CEO’s or association leaders to come into their organizations with concise, detailed research on the key issues that will come to impact them in the coming year. I don’t just show up and do a canned keynote: I provide some pretty detailed insight. 1. 4D Printing: 3D printing is already so yesterday. In fact, while it’s getting a lot of attention, it’s actually 30 years old. And yes, it’s got a long way to go in terms of its real adoption and impact; it’s barely scratched the surface in the world of manufacturing. But the newest buzz is around 4D printing, or what we might call ‘customizable’ smart materials.‘ It’s the printing of an item that can change shape depending on particular conditions: a good example is a pipe that might change its size depending on the volume of water or other liquid flowing through it. It’s pretty new, involves a lot of advanced science, and has caught the imagination and attention of innovators worldwide. It’s a real game changer. 2. Amazonification of Industries: Amazon has everyone in its crosshairs as it moves beyond the sale of hard products. This include the home repair/renovation business, to optometrists or heading specialists, to automotive repair. Amazon isn’t just about selling goods — increasingly, it’s about selling the services that go with those goods. And if your industry is targeted by Amazon, you’re faced with the stark choice of a race to the bottom, forced to compete on price — or figuring out some other business model. I’m being retained by an increasing number of CEO’s or other senior executives in a wide variety of industries to come in for a talk on innovation strategies to deal with the realty of what to do when Amazon chooses to compete with you. Amazonification is real, and will pick up speed throughout 2017. 3. The Impact of Generational Time Shifting. Baby boomers are living longer and retiring later. Millennials are marrying later, having kids later, and buying houses later. The next generation moves out of their parents homes later. Take a look around, and whatever the case may be, people are doing things later in life than they used to! The implications throughout the economy and on every single industry are pretty profound: this time-shift challenges business assumptions, brand messaging, and in some cases, the very nature of the product or service being sold. If you don’t understand the impact on your business, you better take some time to do so. 4. The expectation gap: This is a huge issue for 2017, obviously, but people aren’t really thinking about what to do with it. Quite simply, people have developed expectations that won’t be met. The gap has always been there, but it is evident that it is growing! For examples, consider the perception that people have with respect to the payout that their pension plans will provide them in their retirement years, and the likely payout that they will actually receive. People expect a cleaner environment, and yet seem to continue to insist on driving large, gas guzzling SUV’s and high performance cars. People want smaller “big government” but don’t want to see any of their sacred government spending programs to be touched. They want top-notch healthcare, but don’t want to have to pay for it. They expect to be able to ‘live large,’ but don’t think that they will be impacted by the resultant lifestyle dieseases of diabetes, hypertension and more. The expectation gap will become more profound throughout 2017 as the political juggernaut of 2016 continues to play out in the US, the UK and elsewhere. 5. Ransomware of things. If you thought Internet-of-Things denial of service attacks were bad, wait until you start seeing the impact of this trend. We’ll see the emergence of fascinating new hack attacks in which someone will be able to take control of an entire range of Internet connected devices from one manufacturer — home thermostats, house alarms or other smart devices – and prevent them from operating until some type of ransomware fee is paid. Oh, the lawyers are going to make a lot of negligence-money from this trend! 6. Prognostic diagnostics takes centre stage: While autonomous and self-driving vehicles are all the rage, an equally important transformation is underway. That’s the fact that hyper connectivity (aka the Internet of Things) brings companies the ability to diagnose things from afar. It means that transportation, utility, appliance, and other companies can understand and determine when particular products are going to break down or require maintenance. That changes business models, since they are no longer restricted to selling just a physical ‘thing’, but a service. Guaranteed uptime becomes a major selling feature; skills retraining is necessary; marketing/branding messages undergo change. 7. Gadgets get dumb: In 2017, low-tech innovation will gain increasing attention as the marvel of ‘smart things’ begins to wear off. People are beginning to realize that many smart things are really ‘dumb things’ because of bad design. They’ll begin to rebel or lose interest in many aspects of the Internet of Things, and all the complexities that comes from making devices connect, work, sync and generally, behave. In addition, the trend will be driven by a desire to come up with simple solutions to the complex problems of the third world, where simplicity, low cost, and un-connectedness are the driving factors for design. This means that we can expect innovations with water, small scale energy production, and other areas, which will flow back into the Western world. Combine both of these issues, and maybe the era of hi-tech gadgetry will begin to slow or be supplanted by simple, dumb things. 8. Micro-personalization. We’ll witness the acceleration of the trend to the world of ‘you.’ One size solutions that don’t ‘fit-all’, but fit you. Think, for example, about advances in genomic medicine that allow for engineering of medical treatments for particular genetic profiles – a trend that is closer to reality as a result of the ongoing reduction in cost of genomic sequencing. Retail stores will speed up their adoption of location and in-store technology that will deliver a highly personalized shopping experience. Personal concierge service will become all the rage as the elite-service concepts of the airline industry become mainstream in health care and other industries. In 2017, smart companies will realize ‘it’s all about you, and discover significant business opportunity in doing so. 9. “Exercise is medicine” is the new medicine: in which physical therapy becomes a formalized part of medical treatment programs. This will include prescriptions written by doctors that provide for treatment by fitness professionals. The goal of EIM is to slow, stop or reverse the progression of chronic diseases: and as those diseases and the resultant cost accelerates, innovative programs around EiM will pick up speed. 10. Collaborative careers take over. With ongoing specialization of knowledge, organizations will find that they will have to spend more time simply coordinating access to knowledge. The trend is already playing out in health care: one study found that physicians believe they will send more time on leading teams and coordinating care, than on the delivery of care directly by themselves! This trend will pick up speed for many reasons, not the least of which is digitization, as tech comes to accelerate the complexity of many industries. 11. Green China: in 2017, the environment will be under siege: the new political reality will likely result in a pushback against anything environmental in the US. A new of uncertainty will drive away investment. The result? Many of the next wave innovations with wind, solar, tidal and other alternative forms of energy will come from a most unsurprising source: China! 12. UI Supremacy. As dumb-devices take centre stage, innovators will work to reverse the trend through better design. User interface design will be HOT, and one of the most in-demand skills going forward! Think about it: in many industries, the first efforts into the world of smart things resulted in some pretty stupid devices! Have you ever tried to use a smart-TV? Infuriating, isn’t it – since there is nothing smart about their ease-of-use at all. Consider this too: most car companies have failed in developing simple, easy to use dashboard systems, but Tesla has not. Result? The iPad design concept will increasingly dominate automotive and other forms of product design. NEST-style thermostat thinking will come to drive the design of residential, commercial and industrial appliances. In store kiosks, self-checkouts and other systems will be rebuilt from the ground up by innovative companies that recognize that good UI is the new winning formula for success. Easy, clean interfaces are in; clunky retrofits are out. Related trend? Upgradability defines future success! 13. The Yottabit era. It’s said that a self-driving car is capturing and processing 7 terabytes of data per hour !That’s a huge amount of information, and is indicative of the fact that the big shift in transportation is that cars are essentially just becoming computers on wheels. The typical truck today contains more technology than a Cessna airplane, and generates massive amounts of logistics, maintenance and other data. It’s not just self-driving cars or connected trucks — as every device becomes a computer device, volumes of data grow at a furious pace. We’re entering yottabit territory, a phrase that I wrote about way back in 1999. (Check out who owns yottabits.com). The exponentiation of data generation doesn’t just mean big data : companies will be dealing with massive data sets, and have to figure out what to do with it. Data-farming will be the new form of analytical insight! 14. IoIT takes over from IOT – Connected intelligence is the new AI, as the Intelligent-Internet-of-Things takes over from boring old Internet-of-Things devices. Quite simply, smart devices become smarter by talking to other smart devices. As they do so, insight gained from connectivity comes to redefine the future of the product. Consider this simple idea: a Cadillac CTS sports sedan can share information with other vehicles about weather, speed, accidents, as well as their own status (breaking, accelerating, etc). That changes the very nature of what the vehicle is, and provides big opportunities for innovation. In the auto-sector, we can expect a lot of advances in this field, known as V2V (or Vehicle to Vehicle communication) . That’s but one industry — what happens when thermostats in a region can talk to other thermostats and online weather sensors, and come to figure out what they should be doing in terms of heating or cooling activities? Or when health care monitoring technologies can determine the emergence of a flu outbreak, and network with other devices to build a predictive analytical healthcare dashboard? 15. Chief Robotics Officers / Chief Automation Officers . According to IDC, 30% of tech and companies in the automation space will fill such a position in the coming year. Automation is all the rage, with many dire predictions on the impact on jobs and careers. But there is more to it than that, with the result that as robotics and automation continues to be deployed after in manufacturing, travel, transportation, retail and elsewhere, companies will come to discover that they will need a senior executive position to strategize, manage and deploy such technologies. 16. Same Day Infrastructure Hubs: As ‘same day’ becomes a regular part of our daily lives, more companies will invest in the infrastructure required to support it. It won’t involve just the same day shipping of goods. For example, the trend for same food delivery is leading to the emergence of commercial kitchens being created in low-rent, low-cost facilities, strictly for the purpose of home delivery. Expect big developments in the world of commercial real estate and related industries as we see the mergence of these supportive hubs in retail, food, grocery, fashion and elsewhere. 17. Complexity partnerships drive innovation. AS things become more complex, companies realize they can’t do it all on their own. More JV’s, skills partnerships, and other forms of talent access become critical. Consider a GE study: 85% of senior executives are concerned about the velocity introduced by digitization and are open to idea collaboration; 75% indicated they are open to share the revenue stream of an innovation collaboration; and 85% indicated such initiatives were growing over the last year. Partnership is the new bedrock for innovation! A fun little list. There’s lots more! Here’s looking forward to 2017!